Beloved Family of Light, your Planet is reaching a key moment in its process of Ascension and Transformation. 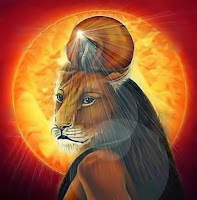 As you enter into the ‘Event Field’ of the June Solstice on the 21st June, you are feeling the incoming and powerful energies of the Lion’s Gate, the 8/8/8, and the final Lunar Eclipse of the two year series on the 28th of September. These events mark the final ‘grounding process’ of the Cosmic Diamond Heart Frequencies into the Multi-Dimensional Earth Grids, as well as the Birthing of the New Earth Soul. This is the true beginning of the Earth Star/Planet as a Multi-Dimensional experiential reality field for all Light Beings who choose to incarnate on the Earth. This includes not only Humans but all forms of life, including the Animal and Plant families. At this beautiful convergence of energies at the Solstice, you will fully embody the Diamond Codes and the Diamond Light through activating the Cosmic Diamond Heart. You will welcome the New Earth Soul as a powerful new archetype, and you can, if you so choose, participate in calling back the animals who are beginning to leave the Planet in a mass extinction event. In February of 2014, those of you who are Starseeds and Galactic Warriors made a massive Timeline Jump or shift to this present timeline. The Group Soul work was to create a way forward into the New Earth on this very heavy timeline. In this process of healing and balancing and bringing in the Diamond Codes, the Earth’s Timeline fields would be unified so that all timelines were directed at a Multi-Dimensional New Earth where Humanity could continue to evolve and thrive together with all other Earth Life Forms. This was an heroic effort by Family of Light and those of you who are Fourth-Dimensional Time Masters, to align the timelines into a common future of Peace and Love. You were to do this by creating peace and harmony in your own lives and by learning how to embody the Diamond Light and the Diamond Codes. You were also to do this be connecting deeply with the Earth and the Elemental Energies and calling back the precious creations to participate in the New Earth. This is what is being celebrated at this time. The Diamond Heart is the Cosmic Frequency that is being embodied within the Galaxy to express the highest frequencies of Divine Light and Divine Creative Will. The Diamond Codes are received on the Earth from the Great Central Sun or Galactic Center as pulsations of Diamond White Light or Fire. 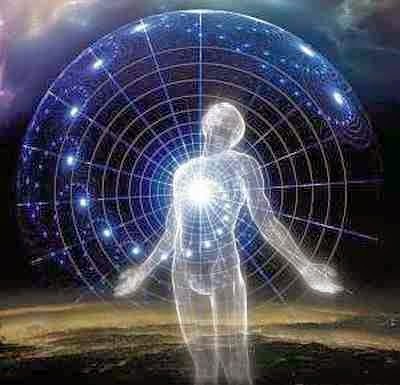 The Heart of the Earth is in the process of aligning with these frequencies, and of course those of you who are working as Family of Light and Star Warriors are learning how to align your own Diamond Heart with these same Cosmic Frequencies. The Diamond Light is the most intense and high-frequency energy that has yet been embodied on the Earth. It is a white fire that brings love, compassion, and creativity at very high levels. The key word is ‘Intensity’. 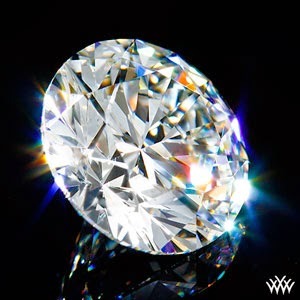 When you embody this Light then you begin to experience the intensity and passion of the Diamond Light. In terms of your physical body, there can be very powerful and noticeable effects on all levels. On the level of the body, all places where the frequency is low will be affected, as the body spins off low frequency and becomes more refined. Many people notice this in the digestive system, as this is an area where low frequency energies are still found, as people eat without consciousness of what they are doing. On the emotional and mental levels, all low-frequency fears and anxieties will be spun off and released to be replaced by higher frequency energies. This may give rise to anxiety and stress, and to an overactive mental or emotional energy for a while, as the old patterns are ‘revved up’ as they are transformed into Higher Frequency. Do not hold on to what needs to be released. The more you hold on, the more difficult it will be to move forward with your life. Release with grace and gratitude, and allow your Higher Self to lead you forward into the new frequencies and the new version of yourself. In terms of the Earth itself, these intense frequencies are causing much movement and disruption in weather and other global patterns. In the Pacific ‘Ring of Fire’ and other places, you will be seeing increased activity in volcanoes and earthquakes as the Earth moves into the Higher Frequencies and the Planet adjusts to these Diamond Frequencies. The cleansing activities of Fire and Water will be very noticeable at this time. Beloved Ones, you chose to jump to this timeline to be the agents of change at this time. As you work with these deep and intense energies, know that you are working with your Soul, your Soul Group, and your Soul Families. You are Masters of Time and Space, and you are creating a new timeline for the Earth in her journey through Time and Space. Beloved Family, since the big energy shift in December 2012, your Planet has been in a powerful process of Ascension and Transformation. This process will culminate in 2017, as you fully birth the New Earth timeline and the New Earth Soul within your Multi-Dimensional Physical/Light Body Complex. 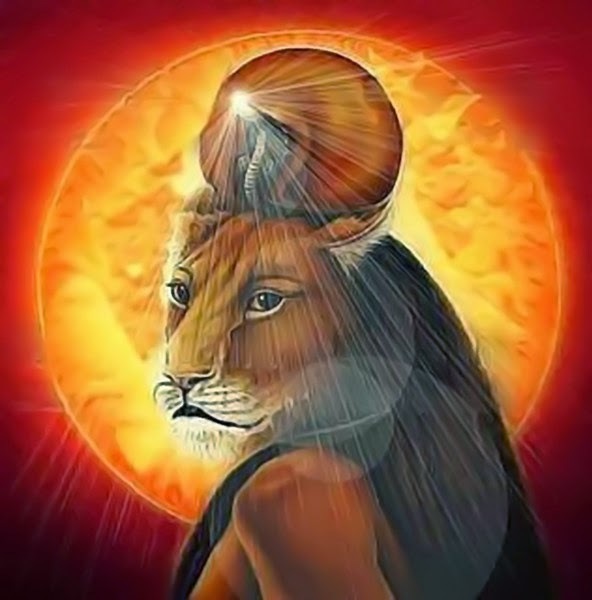 We, as Angels and Archangels, worked with you and taught you the Sacred Heart meditation to allow you to access the archetypal energies of Yeshua and Mary Magdalene, to embody the Golden Light of the Christ Consciousness. This was essential in order for you to create the ‘Star Gates’ that would shift the planet into Multi-Dimensional frequencies. 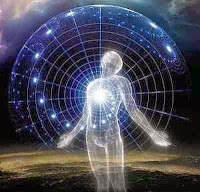 After 2012, the Diamond Light frequencies began to enter the Earth Grids and Fields, and in this new Multi-Dimensional frequency, a New Earth Soul was born that would express the Diamond Heart of the New Earth Being. The Divine Feminine of the Diamond Light expresses itself as Higher Wisdom, Strength, Courage, and Passion. It’s center is the Heart, and it activates the Sacral center, the Brow Center, and the Soul Star, into Radiant Rainbow frequencies of Intuition, Love, Passion, Intensity, and Creativity. She is the Wise Woman and Warrior, who loves with intensity and integrity and whose focus, as the Great Mother, is on all the ‘children’ of the Galaxy and of the Earth. Her Diamond intensity is a white fire that clears away the old, the chaos, the confusion, and creates space for a new creation of Golden frequencies and Diamond frequencies of Higher Expressions of Divine Love and Blessings. The Divine Masculine of the Diamond Light expresses itself as Creativity, Clarity, Strength, Empowerment, and the ability to structure New Creations with Love, Intense Passion, and Responsibility. This energy is also centered in the Heart, and activates the Base, the Solar Plexus, the Throat, and the Crown Centers. He is the powerful Creator who brings order and harmony into manifestation through his creations of Golden Light and Diamond Intensity. He speaks his truth and follows the path of his Soul and Higher Self. When the Diamond Sacred Masculine and Feminine come into alignment within your Soul, you birth the New Earth Soul. You become a Radiant Diamond Light Being whose intense Light, Passion and Clarity can light the way forward into the New Earth for others. Beloved Family of Light, at the Solstice many of you will complete the ‘birthing’ of your New Earth Soul into the Diamond Light. You may feel this intense Flame of White Fire as it ignites within your Heart, your Soul, and within every cell in your Body and Light Body. This will be a precious gift and a powerful transformation. Beloved Family of Light, as you work with the Diamond Light and the Ascension energies, you are aware of how intense and challenging life can be on the Earth at this time. This applies not only to human life but to all life forms on the Earth. As the Earth shifts and changes, it is becoming more difficult for many life forms to hold their life templates in existence on the Earth. It is Divine Love and Creativity that anchors them here, but they need your assistance as well. Your original ‘mission’ on the Planet was to fill the Earth and to tend to the ‘Garden’ and the Animals. While you have filled the Earth, you have not taken that much care of the Garden and its Life Forms. Many Species feel deeply unloved, as their habitats are destroyed and their families hunted and killed as resources. In the incoming Diamond Light, it is time to call back all life forms, tend to the Garden, and call back the Animals especially. Do not allow them to go into extinction feeling unloved and unwanted! The Shining Radiance of Creation is a precious Gift, all of it. At this time of the Solstice, and the birthing of the New Earth Soul, it is also time to affirm your Love, Appreciation and Gratitude for all Creation. Call back the animals, let them come home to Earth, and feel loved, honored and appreciated in their natural environments. 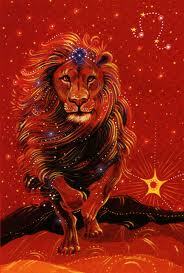 The animals were created from the Divine Creation Template of the Galaxy to be your companions on the Earth. They are also ‘Soul Family’, and they are ‘Star Seeds’ from many different systems and galaxies. Each species brings a gift from the Stars. As they disappear and become extinct, so the blessings are lost and the Earth becomes more lonely and isolated. Beloved Ones, call them back. Let them know that your hearts yearn for them and their presence and their frequencies and their gifts. Call their Souls and Spirits, and let them know that you have seen their pain and suffering. And let them know that you will work together with them to create a New Earth.. It is time to rebirth the garden and to tend to the many species that were gifted to Earth. It is time for a powerful new force to arise, Diamond Gratitude. Gratitude, for every living being and their contribution to the Garden of Life that is Planet Earth, and to the Galaxy and the Cosmos!